Hey loves! 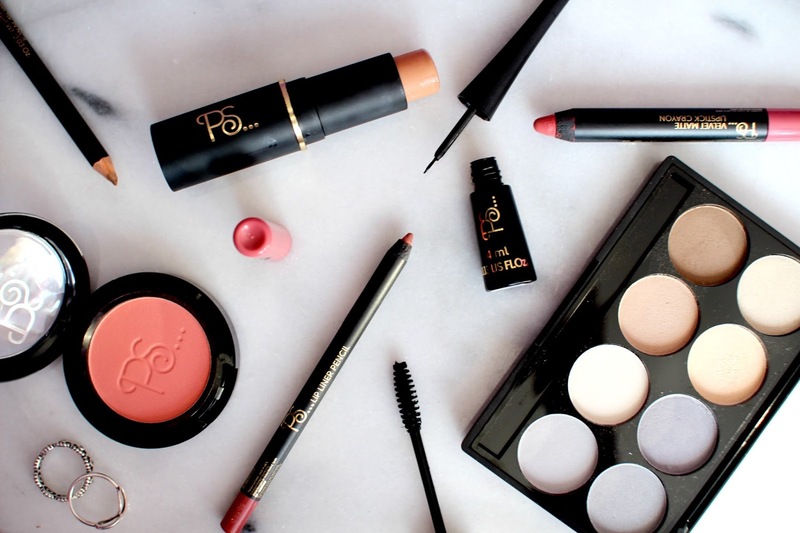 For todays post I wanted to a do a review of some of the products from the Primark Beauty range, P.S Love. I've seen a lot of other bloggers and vloggers talk about these products and I just wanted to see what it was all about myself! The Primark beauty range is incredibly affordable with a lot of the products only being between £1 to £2.50! Although this is clearly labelled as a foundation stick, I've seen a lot of other people use this as a cream contour and as I couldn't find a shade that worked well with my skin tone, that's exactly what I did. I went for the darkest shade, which isn't actually that dark at all.. Primark could definitely work on their shade range. When I first applied this under my cheek bones, it was looking very orange so I had my doubts. However, the product blended out really nicely and the more I blended it the nicer the colour became! I was actually really impressed with the finished result and would use this to contour with again, maybe with a bit more of a tan! 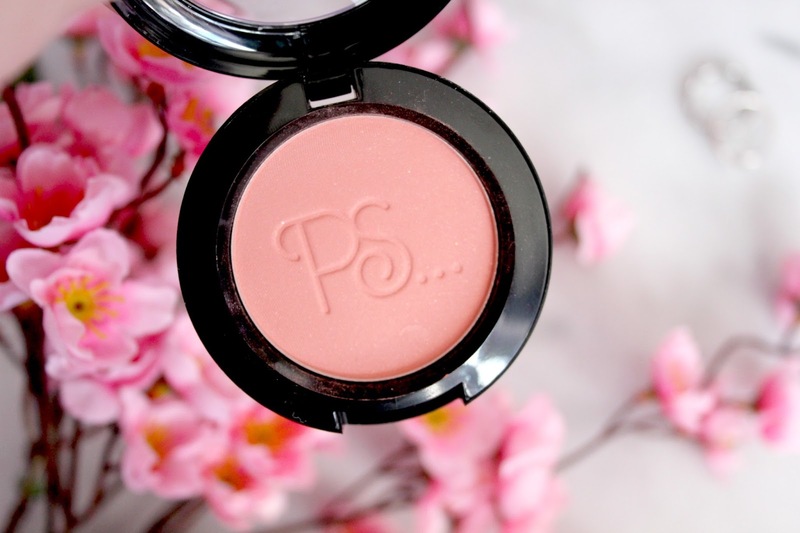 The first thing I have to say about this blush is that it is extremely pigmented! I went in with the mind set that it might be a bit wishy-washy but instead I came out looking like a clown!! When I blended the blush out though it turned into a beautiful, natural healthy flush and it's quickly becoming one of my favourite blushers at the moment. The formula is really smooth and as the finish is matte you don't have to worry about any shimmer - the perfect every day blush! This was my most expensive purchase from the range but equally the most disappointing! At first glance, the palette is filled with some nice wearable mattes which have the potential to create a lovely every day look. However, the pigmentation of these is awful! As soon as you apply any of these shadows to the lid they blend into nothing and have a very chalky texture. I would definitely give this one a miss! 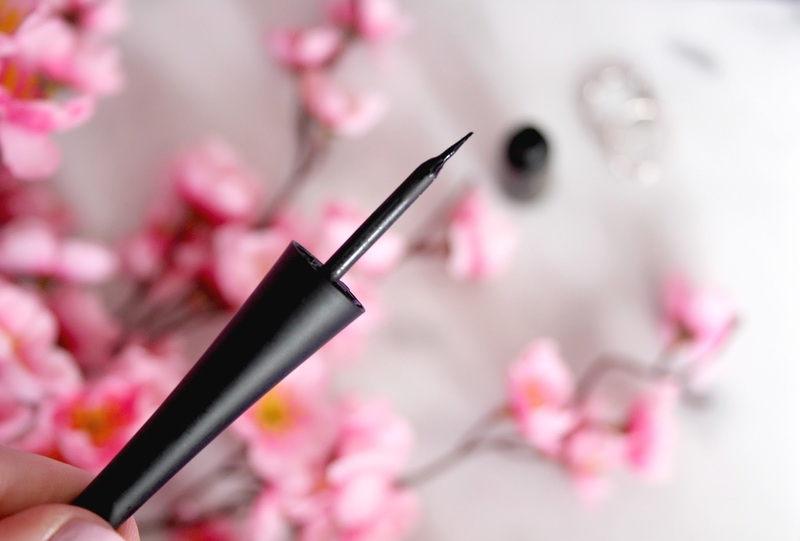 When I first saw this eyeliner, it reminded me of the Collection fast stroke liquid eyeliner that I used to obsessively buy when I was about 13/14! 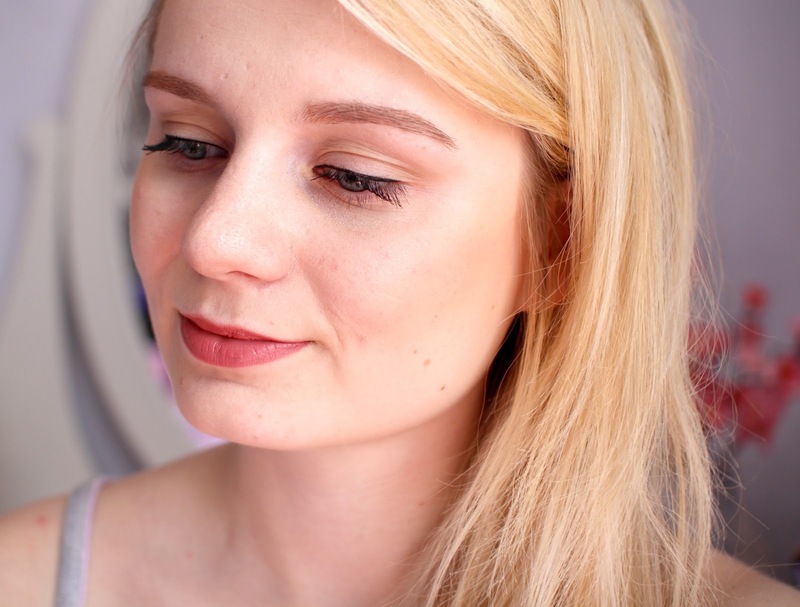 I got on with this eyeliner so well and think it's such good value! The colour is really black, it's easy to use and doesn't smudge. The nib on the brush is really thin which helps you get a neat, precise line. I literally have no bad words to say about this eyeliner! 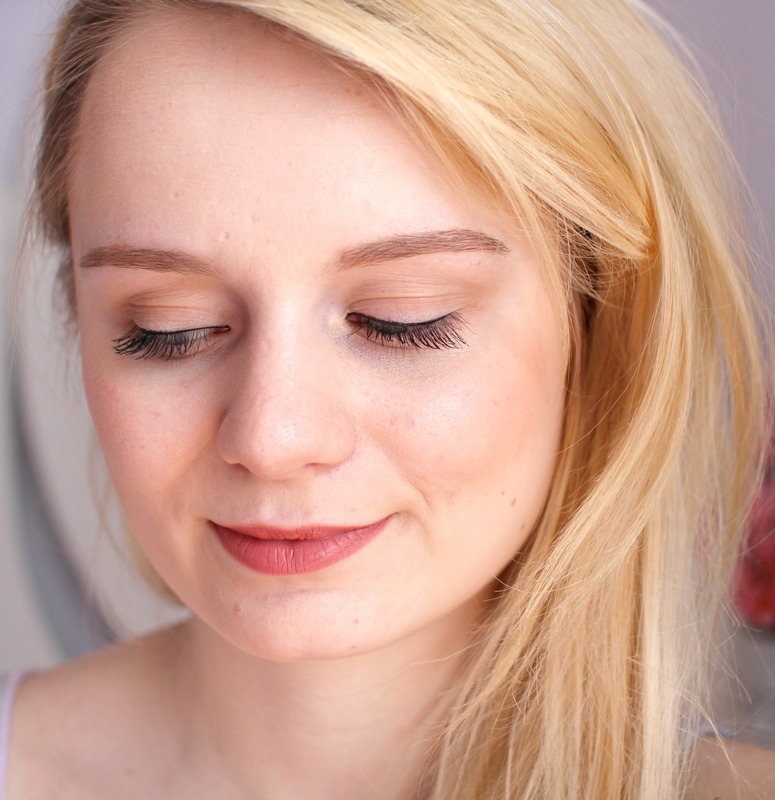 If you like a more natural looking mascara, then this might be a mascara for you. Personally, I really love dramatic lashes and although it says that this mascara is volumising in its name, it doesn't really do the job. It does improve if you layer up the coats of mascara but I found that it just made my lashes look really spidery and that's not a look I like to go for! When I first picked this up, I was pretty sure it was going to be too red toned for my eyebrows as a lot of cheaper blonde eyebrow products are. Although this was slightly the case, I definitely think I could get away with the colour if I wanted too; I just have better colour matches in my collection. The consistency of this was really soft and waxy which made it easy to blend through the brows and didn't scratch the skin. The fact that there is a brush on the other end is so useful as I'm always misplacing mine! If you are a brunette, you should definitely check out some of the darker shades! 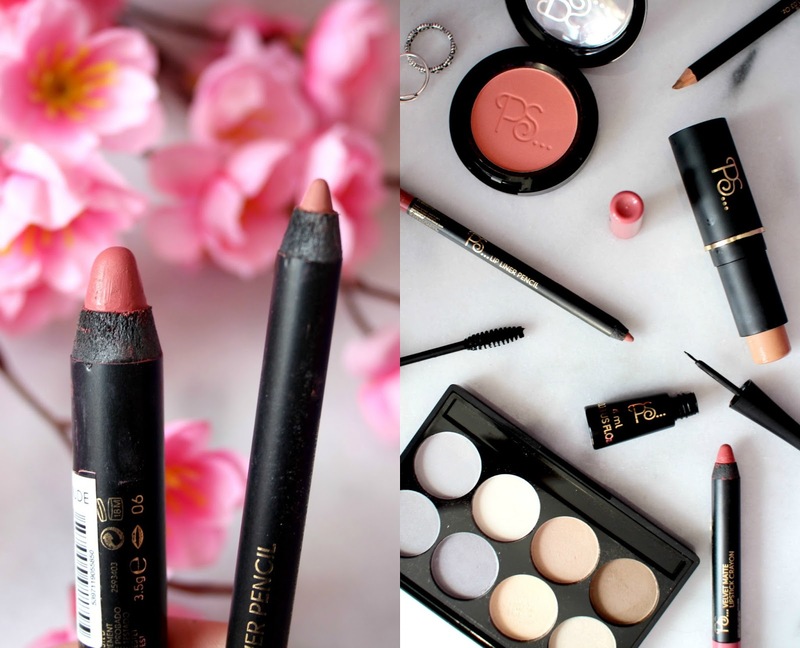 These two products make the perfect lip duo! I love the colour of these together and applied individually! The lipliner isn't as creamy as I'd hoped but that definitely helps it last longer on the lips. I did find that the lip crayon is a quite heavy on the lips, I'm definitely conscious that it is there and after a few hours it can be a tad drying. Regardless, I love wearing these colours together and would definitely recommend trying them for yourself because they're so affordable! So there you have it! As a whole I would definitely recommend checking out the Primark beauty range as there is definitely some gems, you don't always have to pay a hefty price tag for some good quality products! You can pick up these products in most Primark stores, I'm still hoping for the day Primark gets an online website! If you want to see me try all these products on camera then check out the video below of my first impressions on my youtube channel! I have never tried Primark makeup, but I should never judge a book by a cover! I recently watched a different video on this same subject and now i'm really fascinated to give these a go! Oh how good would online Primark be! I do love a Primark bargain! I have always been a little sceptical about their make up range but I think you may have convinced me to give a few bits a go. I am an obsessive Mac buyer but my bank account is begging me to stop so nice cheapy Primark buy is just what I need I think haha!